Communicate with supporters, raise money, and say "thanks!" where donors are most responsive: their phones. 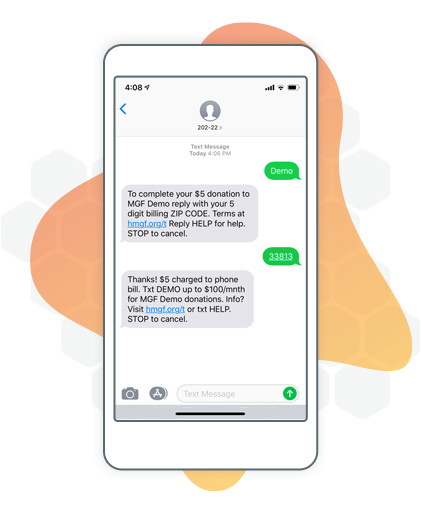 Text-to-donate is a form-based mobile fundraising method. Donors initiate a gift via text before visiting a mobile form to complete their donation. 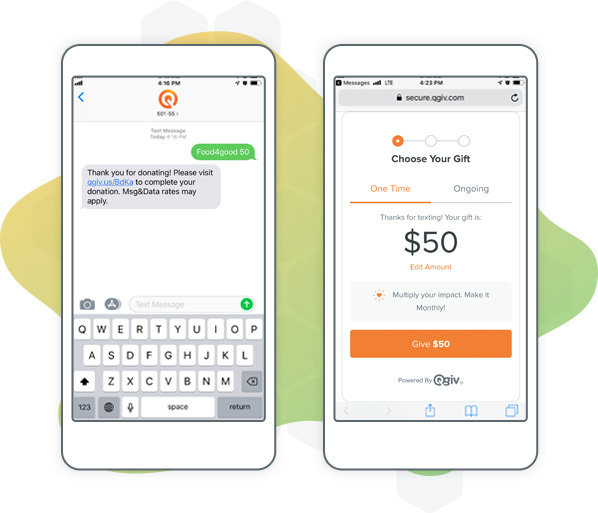 Text-to-give is a carrier-based mobile fundraising method. Donors are billed the donation amount on their phone bill. Not sure which platform is right for you? Head to the blog to read Text-to-Donate vs Text-to-Give. Over 3,000 Organizations Trust Qgiv with Their Online Fundraising Needs! Need to start fundraising? Getting started is quick and easy. Contact us to learn more!